Guantanamo Bay Detention Camp opened its cells to terrorist suspects 15 years ago, on January 11, 2002. Torture, unlawful detention, and hunger strikes have marred the US detention facility ever since. Fifteen years on, the camp remains open, despite President Barack Obama’s campaign promise to shut it down, while president-elect Donald Trump tweeted earlier this month that he believes there should be no more prisoners released from Gitmo. Over the years, close to 800 prisoners have been detained, and in some cases tortured, in the detention camp, using what were called “enhanced techniques” on the prison population, the overwhelming majority of whom were never charged. Such “techniques” included waterboarding, with numerous detainees subjected to prolonged sessions of this potentially deadly torture, as well as being stripped naked and being confined in dark cells for lengthy periods of time. 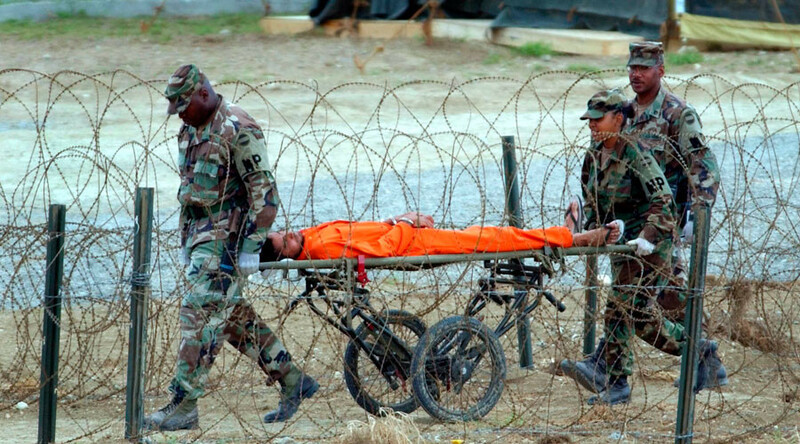 Nine prisoners have died in Guantanamo, and seven of those deaths are believed to be by suicide. Only nine prisoners have ever been convicted of a crime. Today, 55 prisoners remain on the island, with 19 cleared for release – five of whom were cleared in 2009. On the 15-year anniversary of its opening, RT looks back at some of the detainees who have spent years inside Guantanamo Bay. Guantanamo has housed at least 15 children within its cells. Omar Khadr was 15 when he was sent to Guantanamo after being picked up in Afghanistan in 2002. The Canadian pled guilty to throwing a grenade at a soldier in Afghanistan – after 8 years in Gitmo, his lawyers say he confessed under torture. Khadr is the only child soldier prosecuted in a military commission for war crimes. He was transferred to Canada to serve the rest of his time. He has since become engaged to a woman who campaigned for his release. Mohammed el Gharani was 14 when he came to Guantanamo – its youngest prisoner ever. Falsely accused of fighting for the Taliban and being a member of a London Al-Qaeda cell, el Gharani had never been to Afghanistan or the UK. He was released in 2009, after seven years of being “abused” and not being treated like a child. Sami al Hajj, an Al Jazeera cameraman from Sudan, al Hajj was detained in 2001 and released in 2008. The only journalist to be held at Gitmo, he took part in hunger strikes. Shaker Aamer was the last British detainee held without a trial. Since his release in October 2015, Shaker has spoken out about the conditions in the prison. “Guantanamo is being run by one concept: how to destroy a human being,” Aamer told RT last year. Mustafa al-Shamiri, a Yemeni, has spent 14 years in Guantanamo over a case of mistaken identity, with US authorities claiming he was a senior Al-Qaeda trainer in Afghanistan. Despite being cleared for release over a year ago, he remains detained there. Abdallah al-Ajmi, a Kuwait citizen and former Taliban fighter, was sent to Kuwait from Guantanamo in 2005, where he was acquitted in 2006. He went on to die in a suicide bomb attack he carried out in Mosul in 2008. Abedlaziz Kareem Salim al-Noofayee was detained in March 2002 for wearing a Casio F91W watch, which intelligence identified as a terrorist watch, or the “sign of al-Qaeda.” He was released in 2009. Khalid Sheikh Mohammed is an alleged 9/11 plotter. Born in Pakistan, he has been dubbed “the mastermind of the September 11 attacks.” He was captured in Pakistan in 2003 and was transferred to Gitmo in 2006. He was waterboarded at least 183 times. He remains in Guantanamo along with fellow plotters Ramzi bin al-Shibh, Abd al Aziz Ali, Walid Bin Attash, and Mustafa Ahmed al-Hawsawi.